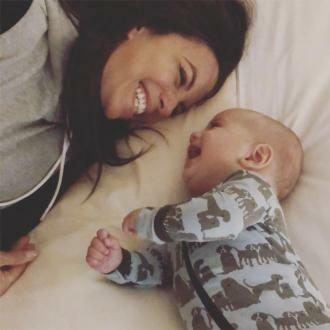 Eva Longoria's friend Kerry Washington has been a great source of support during her pregnancy, and the 'Scandal' star even gave her pal her old maternity clothes. Eva Longoria has been wearing Kerry Washington's old maternity clothes. The former 'Desperate Housewives' star is expecting her first child with husband Jose 'Pepe' Baston and her friend - who has daughter Isabelle, three ,and son Caleb, 17 months, with husband Nnamdi Asomugha - has ensured she's stayed stylish and comfortable throughout her pregnancy thanks to a ''travelling suitcase'' of items. And after Eva has had her baby, she'll add some of the maternity clothes she's bought for herself to the box and hand it over to someone else. The 42-year-old actress praised the 'Scandal' star for being a great source of support during her pregnancy, and she's been able to turn to her friend for any information she might need. She told Access: Kerry has actually been one of my main friends that I've been leaning on during pregnancy. 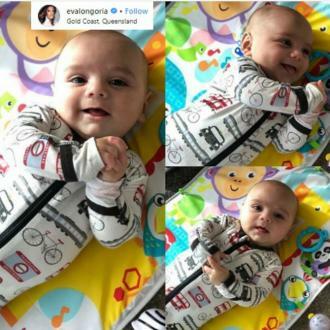 Eva is expecting a baby boy and she recently revealed she and her husband - who has three children from a previous marriage - will be choosing a ''traditional'' long name for the tot. And the 'Telenovela' star also admitted she hasn't been having any pregnancy cravings, and instead has found herself losing her appetite for certain foods.